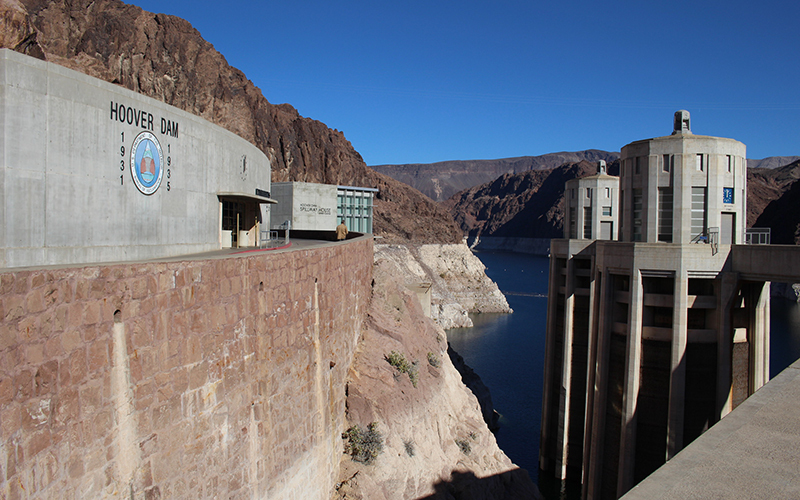 GREELEY, Colo. – Water leaders from the seven states that make up the vast Colorado River Basin met Tuesday in Phoenix to sign a letter to Congress asking for federal approval of a drought contingency plan meant to protect Lake Mead. Recent heavy snows in the Southern Rocky Mountains have relieved some short-term pressure on the region’s water supplies. If dry conditions in the Southwest return in the next six years, the plan would force Arizona, Nevada, California and Mexico to cut back the amount each takes from the overallocated system. The other four states in the basin are Colorado, Wyoming, Utah and New Mexico. If snowpack remains high the next few years, the plan might not need to be used. In their letter to Congress, water leaders said they want to execute the basin-wide drought contingency plan no later than April 22. In declaring the intrastate plans done, Burman also rescinded her call to Colorado River Basin state governors for input to craft a federal plan should the states fail to coalesce. The plan has been cobbled together through a series of agreements over the past five months among the states that make up the Colorado River watershed. Nevada first approved its portion of the plan in November. Colorado, Wyoming, Utah and New Mexico followed suit in December. However, California and Arizona failed to meet a series of federal deadlines while the two states attempted to calm warring intrastate factions. In Phoenix, water officials attempted to provide closure to the drought contingency plan process, while acknowledging big hurdles remain, including projected climate impacts to snowpack and the river’s structural deficit, in which more water exists on paper in the form of water rights than in the system itself. “This is definitely a euphoric high point that we’re in right now, but there are miles and miles to go before we sleep,” said James Eklund, a member of the Upper Colorado River Commission who signed the letter on behalf of Colorado. The euphoria isn’t shared by all users in the Southwestern watershed. The plan does not have the support of the single largest user of Colorado River water: the Imperial Irrigation District (IID) in Southern California. District officials said they would only sign onto the drought plan when IID received $200 million in federal funds to mitigate public health and environmental problems brought on by the shrinking Salton Sea. IID officials have criticized the federal government, and Burman herself, for pushing for the plan’s completion. In mid-March, the Metropolitan Water District of Southern California voted to shoulder the state’s burden under the drought contingency plan, bypassing IID and undercutting the agency’s demands for Salton Sea mitigation funds. IID’s opposition to the plan could make congressional approval more difficult. The drought contingency plan overlays a set of 2007 guidelines that govern how the river’s two biggest reservoirs, Lakes Mead and Powell, are managed. Those guidelines weren’t able to keep up as warmer, drier conditions and chronic overuse dropped the reservoirs, particularly Mead, to critical levels. The plan is meant to provide temporary stability while water managers negotiate a new set of operating guidelines to go into effect in 2026. Mead and Powell have dropped over the past 19 years. After the record-breaking hot and dry conditions in 2018, the two reservoirs are currently at their lowest combined level since they were filled decades ago. The reservoirs are part of a river system that provides drinking and irrigation water for about 40 million people. In Arizona, the plan was criticized for being a small, incremental step rather than a more substantive look at the state’s future water demands and practices. The water managers who negotiated the drought contingency plan acknowledge it’s a temporary patch that will help adjust to climate change but won’t solve the region’s water scarcity conundrum.